Australian broadcaster SBS released the first four names of the contestants in their national final Australia Decides, which will be held on the 9th of February. The group Sheppard is among the first four announced acts. 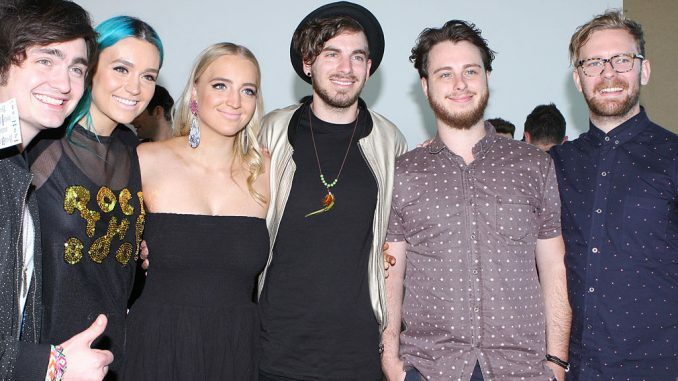 Sheppard scored a hit all over the globe in 2014 with their song ‘Geronimo‘. Their track record further includes the song ‘Coming Home‘. The title for the Eurovision song is not known yet. The other three artists that will take part are Mark Vincent, Kate Miller-Heidke and Electric Fields. It is expected that there will be ten artists in the first national final in Australia, which will take place in the Gold Coast.